An area couple has been indicted on several charges and could face life in prison in connection with the February murder of Trupal Patel whose body was discovered on the side of the road in Shark River Park, Monmouth County Prosecutor Christopher J. Gramiccioni announced on Monday. Joseph Villani, 21, of Parkview Avenue, Ocean Township, and his girlfriend Raquel Garajau, 20, of Frontier Way, Tinton Falls, have been named in the 13-count count indictment charging them with the murder of 29-year-old Patel of Brick. The charges are a result of a joint investigation by the Monmouth County Prosecutor’s Office, Ocean Township, Wall Township, and Asbury Park police departments after Patel was found dead in Shark River Park on Feb. 22, 2017. A Monmouth County park ranger who was collecting litter in the area discovered the body along the side of Gully Road down a slight slope. The ranger reported the discovery at 8:37 a.m., when officers from the Wall Township Police Department were dispatched to the area and confirmed the presence of a deceased male. Within a short period of time, the deceased man was identified as Patel and it was discovered that he had been reported missing to the Asbury Park Police Department by a friend on Feb. 9, 2017. A black 2003 Jaguar that Patel was driving prior to his disappearance was discovered abandoned on an Asbury Park street on that same day. Ultimately, detectives involved in the investigation determined the incident had occurred at Villani’s Ocean Township residence. Villani was arrested for murder on Feb. 25, 2017. He is currently detained without bail. Additional investigation conducted by detectives revealed evidence that Garajau conspired with Villani to commit these crimes and aided him in destroying and concealing evidence in connection with the murder and robbery of Patel. Villani and Garajau are each charged in the indictment with: first-degree murder, first-degree robbery, first-degree felony murder, second-degree possession of a weapon for an unlawful purpose, second-degree unlawful possession of an assault rifle, second-degree disturbing or desecrating human remains, three counts of fourth-degree tampering with evidence, third-degree hindering apprehension of oneself, third-degree hindering apprehension of another, and third-degree tampering with a witness. If convicted of first-degree murder or first-degree felony murder, Villani faces life in prison without parole. Garajau faces life in prison or a minimum term of 30 years in a New Jersey state prison, if convicted. 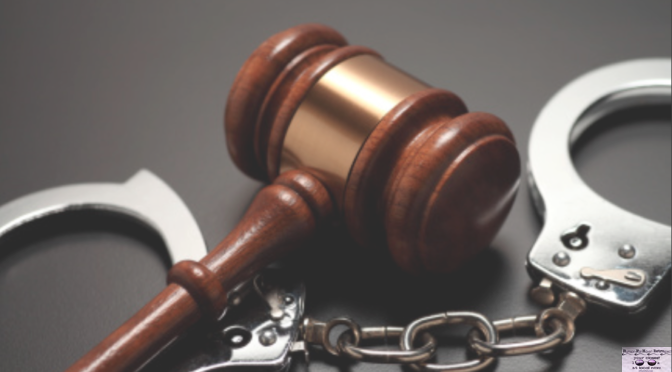 Both crimes are subject to the provisions of the No Early Release Act (NERA), which requires the defendants serve 85 percent of any sentence above the 30 year minimum term. If convicted of first-degree robbery, they each face a maximum sentence of 20 years in prison, subject to NERA. If convicted of either of the second-degree weapons offenses, they each face a maximum of 10 years in state prison with a mandatory five-year period of parole ineligibility, pursuant to the provisions of the Graves Act. If convicted of second-degree disturbing or desecrating human remains, Villani and Garajau each will face a custodial prison term of up to 10 years. The third-degree charges each have a maximum five-year exposure in state prison. The fourth-degree charges each have a maximum exposure of 18 months in state prison. The case is assigned to Monmouth County Assistant Prosecutors Melanie Falco and Stephanie Dugan. Villani is represented by Edward C. Bertucio, Esq., of Eatontown, and Garajau is represented by Robert Honeker, Esq., of Ocean Township.